BEAM Self-Cleaning Filtration sustains a high level of performance. With a BEAM Central Vacuum System there are no filters and no screens to clean or replace. BEAM power units utilize an exclusive permanent self-cleaning filtration material from the makers of GORE-TEX fabric. By using cyclonic forces to separate larger dirt particles and allergens from vacuumed air the permanent filter removes tiny particles at a stunning 98% efficiency at 0.3 microns. Dust particles do not stick to the BEAM self-cleaning filter surface like conventional filter media. And most importantly, power is not lost as the bucket fills up, allowing the BEAM central vacuum system to sustain a high level of performance time after time. 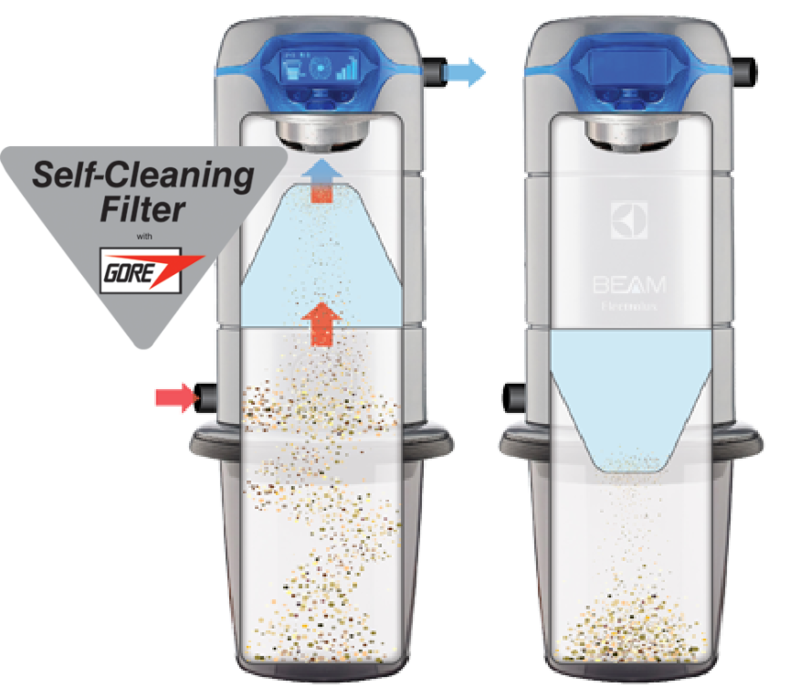 The BEAM self-cleaning filter cleans itself every time the system is turned off.